From prize-winning pigs to corn dog-eating contests, from beauty queens to marching bands, from gravity-defying midway rides to miracle machines for back pain, from butter sculptures to demolition derbies, state fairs are a mother lode of pure Americana. 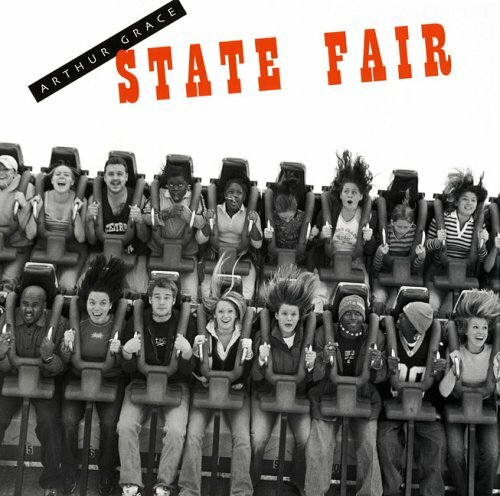 State Fair is a visual distillation of Arthur Grace's photographic odyssey through fairs in ten states—California, Colorado, Florida, Indiana, Kansas, Minnesota, North Carolina, Ohio, Texas, and Virginia. Time and again, regardless of geographical location, Grace's images deftly capture the strange mixture of the traditional, the kitsch, and the off-the-wall that is unique to these annual gatherings, which began as a celebration of rural American life and have evolved into super-sized extravaganzas. Whether the photographs show the beaming pride of 4-H egg champions, the intensity of a tattooed arm wrestler, or a forlorn alligator waiting to be 'wrestled' in a wading pool, the authenticity of Grace's imagery is unmistakable. You can almost hear the shouts from the midway, smell the animals in the barns, and taste the cherry pie.